A fantastic and incredibly useful material, drywall is both durable and highly affordable, and can be customized to match any decorating or visual aesthetic. It’s not surprising then, that it’s become one of America’s most commonly used construction materials. 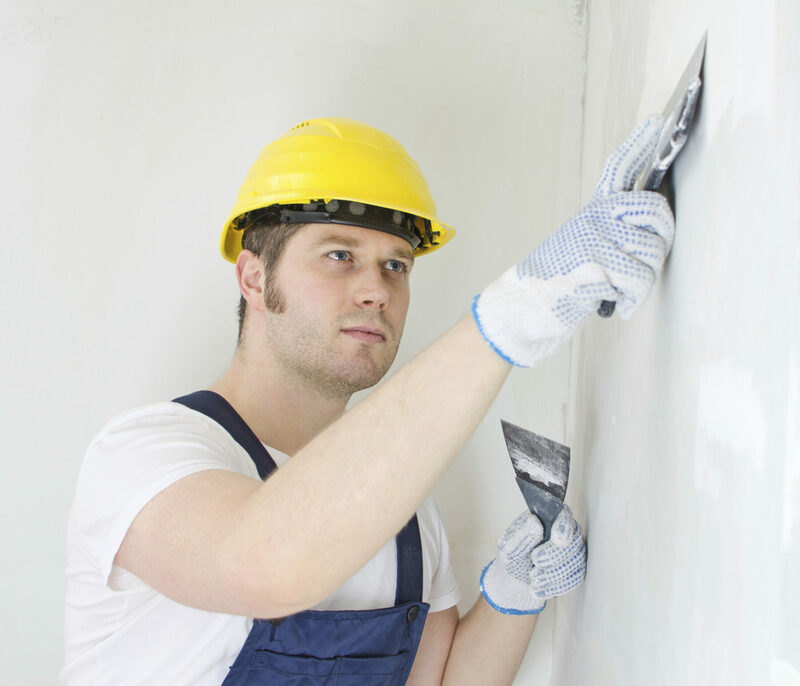 Despite its any advantages, drywall will occasionally require strengthening and repairs. The Atlantic Maintenance Group, Maryland’s premiere landscaping and home repair company, is here with a few standard drywall repair issues, including the methods a drywall professional will use to resolve them. Damp/ moisture damaged ceilings can result from something as benign as a little too much rainfall or as serious as a burst piece of plumbing. To adequately address this common drywall repair issue, a professional will typically use a sander on the wet area, and then paint a layer of stain-resistant primer on to head off any potential water damage in the future, following up with a concealing drywall compound. The ceiling joists and wall studs that are used in drywall can occasionally pop out of the wall. If they do, a drywall repair professional usually first removes the popped nails entirely, replacing them with two brand-new screws each, before applying several layers of joint and drywall compound. Small holes are usually a fairly easy drywall issue to repair. The quickest solution is to adhere a drywall maintenance plate, which sticks to drywall via an adhesive backing. A drywall professional will then conceal the plate with a layer of paint. Obviously a little more difficult to repair than small holes, large drywall holes must be completely excised from a wall by cutting out the surrounding section of drywall entirely. After removing the damaged section, a new piece of drywall will be attached with screws that are then covered in a layer of joint compound and drywall tape, and finished with painting and sanding to make the area match the rest of the wall. Call The Atlantic Maintenance Group. We know how important it is to keep your drywall functional and in peak condition. We’re a Maryland based landscaping and home repair company we offer complete drywall installation services or tenant renovations. In addition we can patch or replace damaged drywall to make your walls look good as new again.To get your free quote on drywall repair services or landscaping now, give us a call at 410-768-4720 or contact us via our website today. This entry was posted on Wednesday, November 26th, 2014	at 1:24 am	and is filed under Blog, Home Repair	. You can follow any responses to this entry through the RSS 2.0	feed. Both comments and pings are currently closed.